I thought I'd try something by Mr. Updike that wasn't Rabbit Angstrom-y. This is the single worst writing from women's point of view that I've ever encountered. These women are the least believable I've ever encountered, and I've read some really bad books. 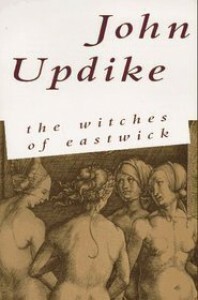 I understand these witches are fantasy, but I can't believe witches would be so ridiculous. Nor can I imagine grown women who complain about getting their periods for a full five (5) days! Or women who think the way these "women" do about their bodies. Men, apparently, believe women are nothing but our bodies and our relationships to men. He gives them interesting professions, then he reduces them to insipid caricatures. Dear Male Writers - Woman Have Breasts and Vaginas. I'm going to write a book where the man's balls are all I talk about if I run into this again. Shockingly, our bodies and fear of aging are not the only thing we ever think about. Argh. I'm very tempted to stop reading this. It's making me irritable. However, now the man has entered the picture, so I may try to continue, since I'm almost a third of a way through. But not tonight. I need some female comedy -- on to Netflix! 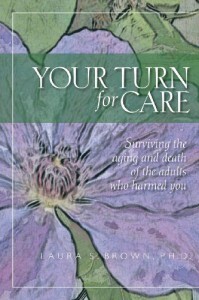 This is a book about relating to elders, caregiving, and death for people whose personal childhood story was a horror movie, not a Hallmark card. There is a group of adults whose dilemmas in dealing with the aging, illness, and death of elders are complex beyond the norm. 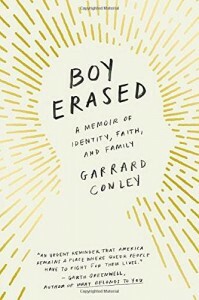 This book is for those folks—for adults raised in families that were frightening, confusing, dangerous, sometimes criminal in their treatment of their children. The elders in these families are...people who...behaved in vicious, venal, abusive, and/or neglectful ways to those children. You are those children, grown into adults confronted with cultural and social demands to relate to those elders, and sometimes to step into the caregiver role. This is an almost one-of-a-kind resource, since nobody seems to have put together two clear facts: a huge number of children are abused in childhood, and [in the US] a full 60% of elderly people are being cared for solely by family. That number increases to 95% if we include family taking any role in caregiving for a family member. So it is clear that many people who were abused in childhood are now caring for that abusive parent/primary caregiver in their elderly years. Surprisingly, there was nothing in the self-help literature (and there seems to be little or no scholarly research finished or even in process) for those adult children who are now either feeling pressured to care for their former abusive caregiver or who are already doing so. Obviously this can be problematic on a number of levels. I'm only writing this review so others will know of this resource. Written in a very open and non-prescriptive style, readers can take what they need and ignore the rest. For those who want much clearer "do this" and "don't do that" guidance, this may feel somewhat nebulous. The bottom line comes down to "you do not have to care for this person who harmed you when you were the vulnerable one." Unfortunately, the US medical system doesn't much care if this person terrorized you, they will assume you either should or must take on this new project. Armed at least with one resource, hopefully we can avoid everyone feeling like they must be the primary caregiver to the person who failed so horribly in this role years before. After reading this post: http://moonlightreader.booklikes.com/post/1772259/a-rant from The Quilty Reader (AKA Moonlight Reader), I happened to literally trip over the following reports, which are well worth a read. This is the best writing I've seen on Amazon -- ie, it's not just your experience in book stores that's being screwed up. “Amazon has massively—and I’m trying not to use this particular word, but I can’t not use it here—disrupted the business model in publishing,” she told me. “Publishers used to be able to take risks with heavier books that might not be as popular, and they used to be able to subsidize them with best sellers.” But Amazon’s demand for discounts has made it harder to cross-subsidize this way, leading to consolidation among book publishers and reduced diversity. We've seen how they affect book sales and best seller lists (remember when they decided to take on publishers and started a little war w/ Hachette? People like Stephen Colbert probably came out fine in the long run, because he had a nightly TV SHOW to moan about it, but what about every new author and book that wasn't seen because Amazon wanted to force Hachette to sell KINDLE ebooks only at a certain, much-reduced price (forcing most traffic to Amazon, rather than anywhere else.) I never actually thought about all the other types of businesses they're also affecting. I'm lucky. I live in a state where Amazon has paid their local and state taxes, where they have a distribution center (so they actually create some jobs here, but we still have a net loss of over 7000 jobs in this last, but not overly recent, report.) In other words, I've not been hurt as much as many people by Amazon, and most of us have no idea how much we're both being pointed to Amazon (where they fix prices to beat everyone, including the publisher themselves) and pointed to certain products by Amazon. They're taking over more than just books, and nobody seems able to actually fight them. Thank you to St. Martin's Press and T.M. 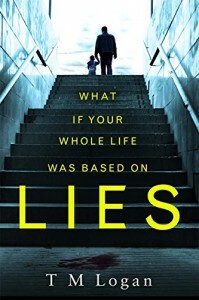 Logan for the chance to read LIES in exchange for this honest review. Note to married people: if your spouse can't listen to you for the length of a meal without scrolling around and posting on Facebook/Goodreads/Twitter/etc constantly, you need a marriage counselor. If you don't heed this warning, you may find life increasingly unpleasant. Such is the life of our pal Joe Lynch, who stumbles his way through this book like a lost puppy, all snarls and grins, deciding to protect people who haven't asked for his protection, then getting angry when things don't go as he has decided life should go. Unfortunately, I figured out by location 202 (4% into the book) who one of the culprits was and at 24%, I'd seen the entire plot without wanting or meaning to do so. The writing drops hefty clues that are actually spoilers. By the end I was irritated with our narrator and had the uncharitable thought that he deserved to be preyed on because he constantly did exactly the opposite of what any reasonable adult would do (and the opposite of what every authority figure -- his lawyer, police, random strangers...) tell him to do. The second irritation (shown by constant notes that got less detailed as the book grinded on repetitively) were plot holes. I felt like the ending had been predetermined and the rest of the book was shunted in to make that ending fit, no matter how far from realistic we had to go to get there. ...it's not the photographing and sharing and broadcasting that makes something what it is. it's the doing. The being. The experience of it. Needless to say, I found very little mystery and far fewer thrills. The mystery for me started to revolve around how long it would take for this fool to stumble into the guaranteed safe landing he was headed for -- because that's the kind of book this is. I wouldn't have finished it if I'd payed for a copy, and I would have probably returned it to the library none the poorer for having missed this one. I got my act together and figured this out. My goal this year was to read more authors of color, so my challenge is Authors of Color and I purposely used women's names first rather than the men's because female authors, especially many of these newer ones with first books, need as much championing as possible. Once I finished my female books, I realized this is doable without any men (though maybe next year I'll try to focus more on Men of Color b/c they are the smallest percentage of my reading, it seems.) I'd like to switch out Morgan Parker's poetry book for a novel, so I'll be looking for novels by women of color with last names starting with D, P, Q, R, V and X in the next few months. Some letters I could list many authors for, so in the interest of fairness, I've simply gone by date. 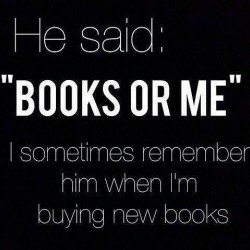 If I read someone/a book earlier, I've used that author and book. **EDIT** Fixed the links - they all should point ONLY to Booklikes pages now. ✔️ C) Fruit of the Drunken Tree by Ingrid Rojas Contreras To Be Released July 31! Look for it! Still need D, Q, R, V & X to have a full house of alphabetical authors of color who identify as female. Any suggestions of good books for those slots are most welcome! While this coming of age tale of a tyrannical zealot self-hating father (with lines like "He did things the right way, the way the white people did, not what our people do now!") 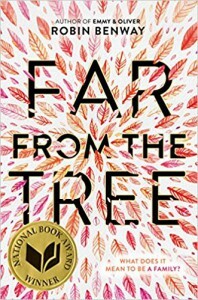 and a terrified frozen family walking constantly on eggshells treads somewhat familiar lines, it's a very strong first novel, despite what feels like an abrupt ending after a beautifully woven storyline and very strong characters. Clearly Chimamanda Ngozi Adichie was born to write, to communicate and never to apologize. An excellent first novel and still a worthwhile read, though if you're only going to read one of her novels, I'd recommend one of the later ones. This, however, is probably well suited for a book club read. So for this month, I'm knocking out my book club books as fast as I can in order to read some new ones I want to read by myself. 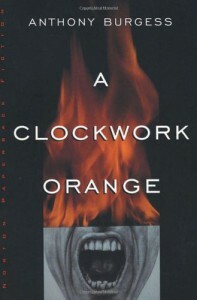 A Clockwork Orange -- wow. I'm now going to allow myself to see this film, now that I've read the entire book, including the redemption/change final chapter that was so gallingly removed from the US versions for so long. I've never seen Kubrick's film because I knew I wanted to read the book first. This is marked as "dystopia" and I'm having a bit of trouble differentiating it from regular old life.. Not sure what that says about me. I've only read two other books by Anthony Burgess (Earthly Powers and A Dead Man in Deptford.) From what I've read, he could probably easily have written this with a female narrator - he was versatile. His introduction to this corrected American edition is pretty awesome all by itself, and he shares that this is not one of his favorite works. I'm actually just sort of gobsmacked by this novel. I have no idea how much I liked or disliked it. I don't know that I felt like or dislike, but I'm really really glad to have read this story because it's just amazingly original -- despite having read many rip-offs, and the ethical questions are overwhelming. I'll be puzzling through them for quite some time, actually. I'm glad the final chapter was included in the version I bought (I'd been trying to buy it for a while and kept ending up w/ old copies that lacked the final metanoia.) I've had a period of life-change come from pure exhaustion myself. I wasn't murdering people, but I was not doing good things either. There is a point when the trouble to make trouble (for oneself or others) actually can just be too much. Oh, I have so many thoughts on this & I'm too beat to write more tonight. I wanted a place-holder b/c I finished another book too, and this needs to come before it in my blog. 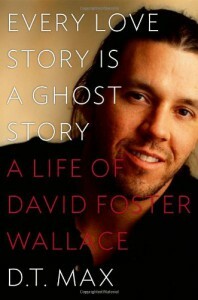 I'll try to rent the film by next week, & maybe I'll amend this with a book/film review. 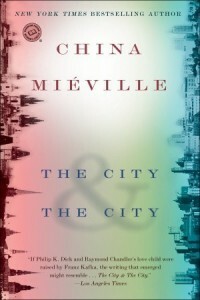 The City & The City - Why is Miéville ignored by some literary circles? This book... oh dear. It's quite good and it's very hard to explain. What starts off seeming like a noir-ish crime novel or police procedural opens up and allows the reader to sort of play with what's happening in the reality of the story. Two city-states, somewhere in Europe, live within each other. Citizens from one are not allowed to "see" the citizens from the other - even if they're on the same street! It's not like Berlin used to be. There's no wall, just a map and laws and a history of strife between the two cities. So is it fantasy, or is it a meditation on our current cities, where we go around "unseeing" all sorts of things? Miéville leaves this question wide open for the reader. 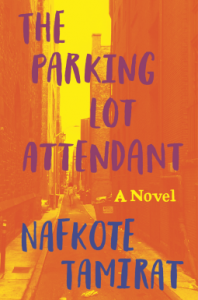 I started to think about all of the ways we divide ourselves in our cities and how the entire novel could be a metaphor for things like race, class, religion, politics, you name it. Everywhere in real life, there are places some people go and places other people don't. There are things we see - even celebrate - and other things we pretend not to see, and put out of mind almost automatically. We're very good at dividing ourselves up in so many ways. Citizens in one city know not to tread on "the other city." The book takes us into a mystery about the cities themselves, all while continuing along the crime narrative. It's sort of brilliant, and very different from any other book I've read before. It's fantastical, but it could be quite realistic. I have to wonder, once again, why some authors (Miéville, Neil Gaiman, even Stephen King) are not even considered in these lists of "important" books. King appears sometimes, but far too often I think these writers tend to be shunted off into "genre writing" and hence considered simply not worthy of being noted by certain publications and literary circles. I'd love someone to tell me why this book is somehow less inventive/important than Thomas Hardy's 8th or 10th book? (Not just Hardy - I'm thinking now of those lists of books that have changed or disrupted the novel's form or literary prizes that always seem to go to the same people or if they go to a newcomer, we're told it's because the book is somehow inventive. I've read the most recent Pulitzer. I liked it, but it wasn't more inventive than this one.) When I read a book like this one, all I see is invention and imagination and certainly breaking the usual laws of novels. I've tried to read The City & The City before and was distracted by work and life. I'm thrilled I finally found the right time for me and this book because it is fantastic - in every sense of the word. I've tried repeatedly to get myself into this book. I could give a brief sketch of what's happening, but I can't seem to get more than an arm's length in terms of caring or even feeling what's going on. Perhaps it's partly due to the structure of this novel (we know where the MC will end up before the story actually begins) but I think it's more just about me at this moment. I'm going to abandon it for now and try again another time. It sounds interesting and like it would be up my lane, but I'm a bit fuzzy these days, and easier reads seem to be where my brain wants to be. A tidbit I learned whilst reading was that much like the narrator, John Wheelwright, John Irving's mother never revealed the identity of his father to him. Apparently this book contains a lot of Irving's biography (well mixed with fiction) which may interest someone, but not really me. The thought experiment: what would it take to make me a Christian? is interesting. And it plays out here in the form of one Owen Meany -- annoying prophetic child who knows, without any doubt, that he's an instrument of God. People who have zero doubt are often very irritating, as Owen can be. Owen hasn't arrived at his doubtless state without interrogating his faith or life, though. He's not full of faith because he refuses to see reality, in fact it's almost the opposite. He seems to have questioned and still believes his fate and purpose. I grew up in the Catholic church and never met a person like this until I was already quite the doubting Thomas. However, I can attest to how discombobulating strong faith can be in the face of endless questioning, and this is what Irving sets up so beautifully, comically and tragically for John and Owen. This novel is dense, full of little details, flies off on what seem like tangents, and more than once I wondered if there was an editor. Then in one fell swoop every single detail that seemed extraneous, silly or irritating falls into place. Details become symbols. Tangents find their meaning. The topsy-turvy struggle between faith and doubt gets an answer -- at least for John. But Owen's "gift" of faith to John is not without cost. John Wheelwright is bitter and confused and doesn't seem to know his own place in the world, though he's clear on Owen's. 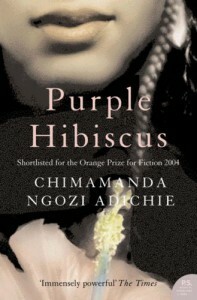 So even with an easy answer on the question of God, this novel shows how painful a life of faith can still be. 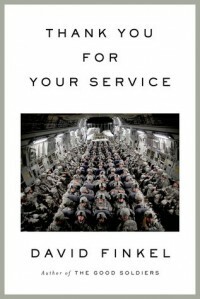 Please read this book if you haven't. 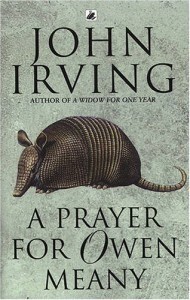 I'll evangelize for John Irving's story of friendship, home and faith. Hang in through the unholy capitalization and irritation, your belief in the story will be rewarded.